The folks at Safari Cardboard captured our attention ages ago with their now ubiquitous (yet still appealing) cardboard taxidermy in one of our gift guides, followed by their cool gift boxes, and eventually cardboard holiday wreaths. 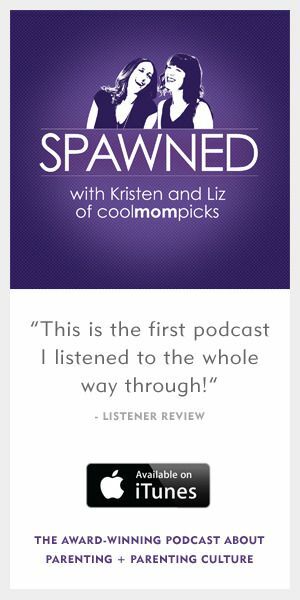 And now they’re back with a fun little idea that’s a little more high-tech. Or, high-low tech: the recycled Cardboard TV iPad Stand. 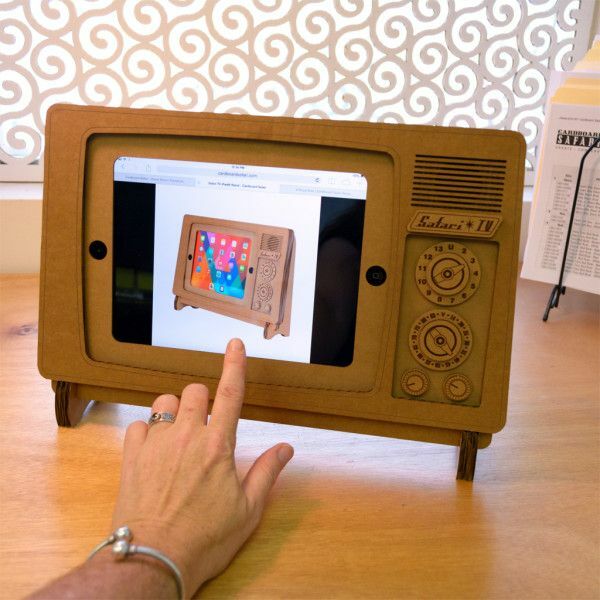 Filed under everything old is new again, like so many of our favorite retro-inspired tech picks, this iPad stand looks just like a throwback to the early days of TV, only they could have never conceived of any screen so small back then. Or colorful. Or Bluetooth-enabled. But that’s another story. It’s awesome propped up in a kitchen when you use your iPad as a clock in the mornings, in the living room playing a photo slide show when the family comes to visit, or on a nightstand for falling asleep to Netflix. I might not hand it to the kids; not sure how sturdy it is. Although heaven knows they’d be the first ones in my house who want to play with it, draw on it–and ask what the heck all those weird dials are for. 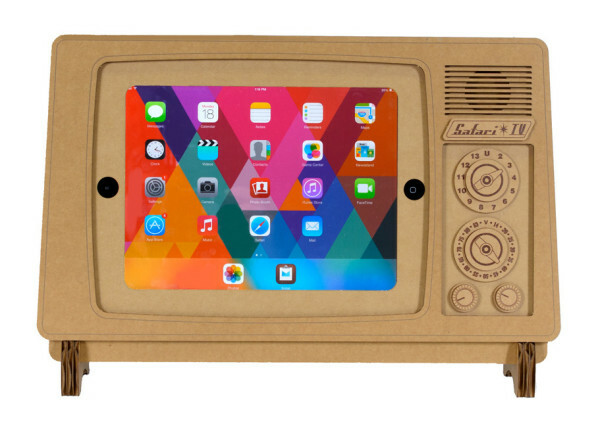 Find the recycled TV iPad Stand online from Cardboard Safari.